Fianna Fáil has hit out at Fine Gael for attempting to “manufacture an election” despite the consequences a snap vote would have for the country. Despite the ongoing Brexit negotiations and incoming abortion legislation which it is hoped can be passed into law by the year’s end, there are growing fears that the electorate is on course for a summer or September election. 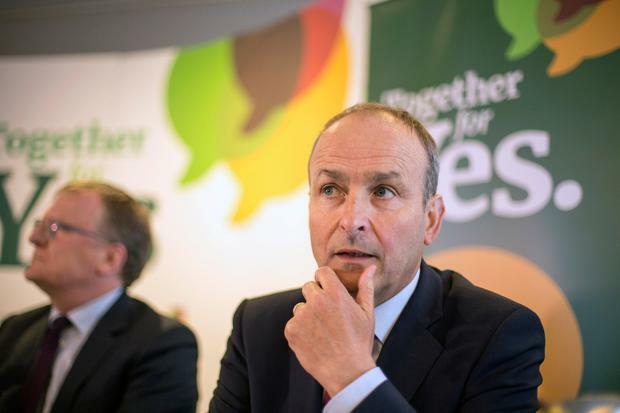 Micheál Martin has accused Taoiseach Leo Varadkar of deliberately fuelling talk of an election, and said people in Fine Gael have noted that some in the party are “gunning for an election”. He said focus should instead be on issues including housing and health and not “on this sort of phoney talk of an election and attempts to manufacture an election by both Fine Gael and Sinn Féin that we’ve witnessed this week”. He criticised Mr Varadkar for feeding into speculation that Sinn Féin were set to table a motion of no confidence in Housing Minister Eoghan Murphy, something Mr Varadkar warned a private Fine Gael meeting could trigger a snap election. Mr Varadkar later publicly stated that he has no interest in an election. However, research commissioned by his party shows that work is well underway on the possibility. However, despite stating that Fianna Fáil has no desire for an election – and that the general public would not welcome one – Mr Martin declined to outline his party’s plans for the possible extension of the confidence and supply agreement with Fine Gael. The agreement is set to last for three budgets. Mr Martin said the party would stick to that commitment and would review the agreement at the end of the year as planned. Speaking on RTÉ Radio One, Mr Martin said there had been no approaches from Fine Gael in relation to extending the agreement by up to two more years. Laura Larkin An extension of the planned post-Brexit transition period beyond 2020 is the only sensible route to protect businesses, a leading industry body has said.